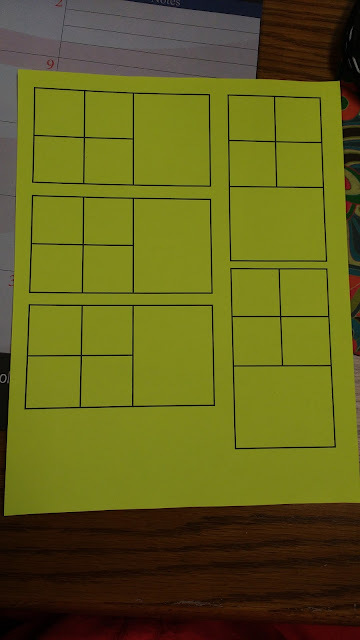 There isn't much to this foldable, but there's something about it that just makes me so happy. 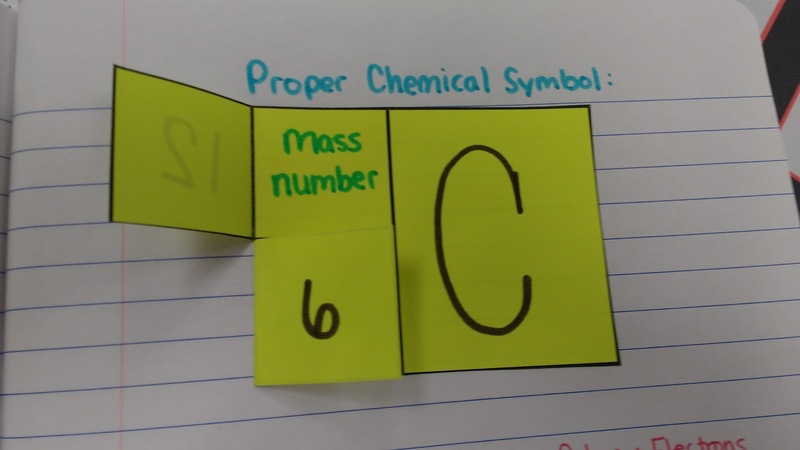 I wanted to come up with a quick reminder for my students about how to write a chemical symbol that identifies the specific isotope we are looking at. 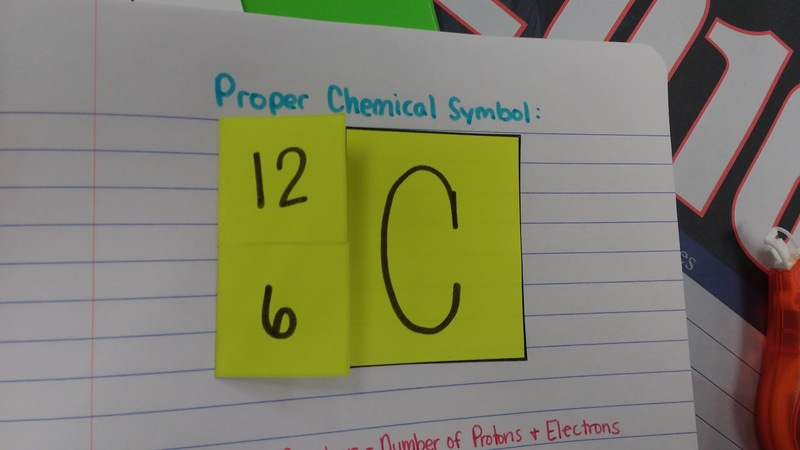 Folding back the flap with the 12 on it shows that 12 represents the mass number of this specific carbon isotope. Folding back the flap with the 6 on it shows that 6 represents the atomic number of carbon. 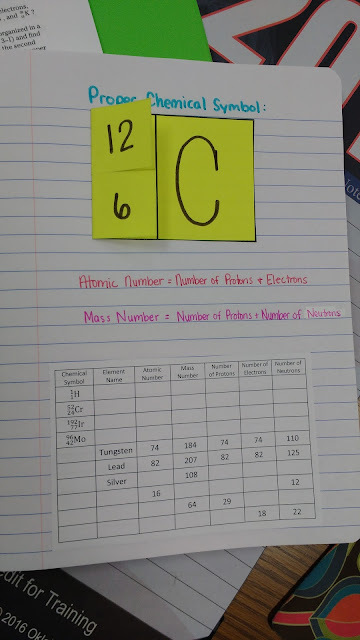 Beneath our mini-foldable, we wrote two equations to help us with atomic number and mass number. 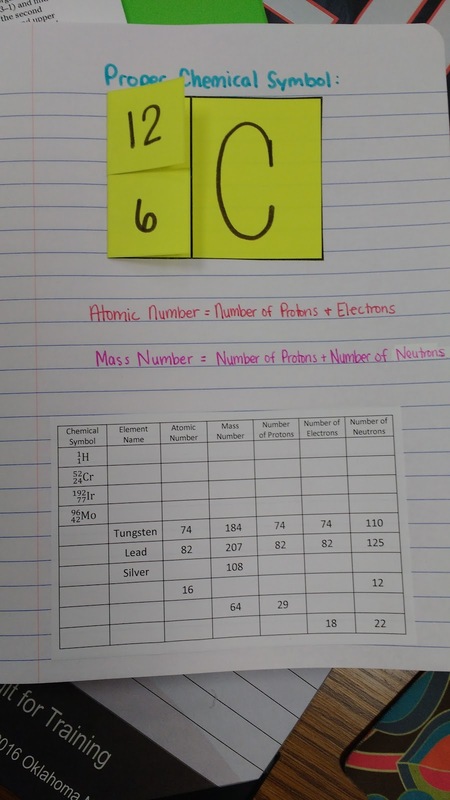 We filled out the table below the equations to practice finding protons, electrons, and neutrons. 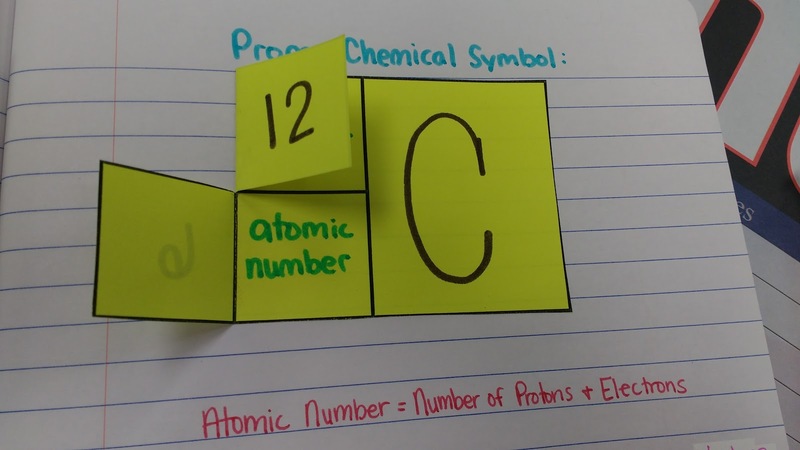 The table was inspired by several practice problems I found in Chemistry Workbook for Dummies. Want a better idea of how I made the foldable? 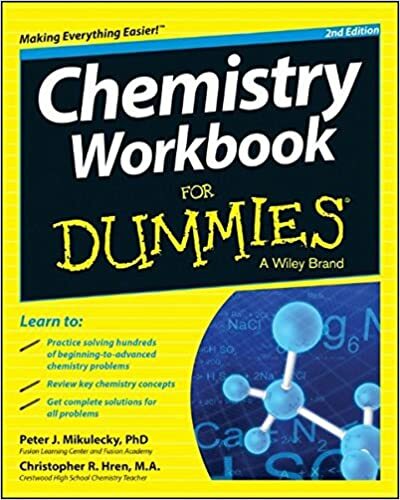 I designed a template like this in Microsoft Publisher. Students trimmed around their foldable. 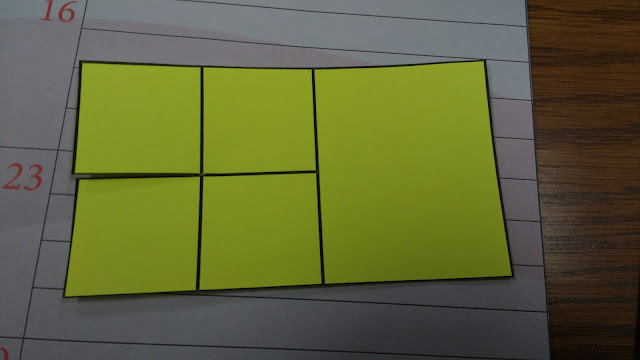 Then, they cut between two of the squares and folded them over. 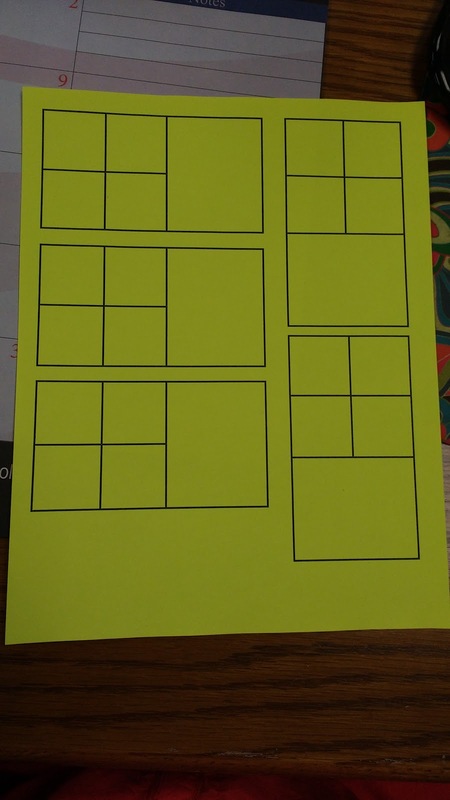 You can download the files for this interactive notebook page here.